Eleven-year-old Polly Peabody needs to make it start raining again. It rains every Monday afternoon on her family's rhubarb farm, until one Monday, when 1:00 P.M. passes without one raindrop. And then Polly's brother gets sick. Polly has to figure out how everything is connected and make it rain before her Aunt Edith sells the farm. 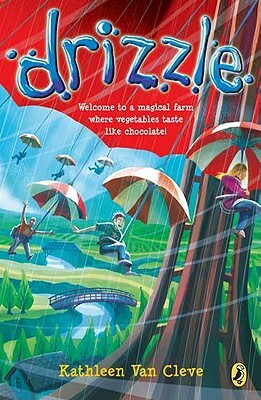 Maybe with the help of her best friend, a talking rhubarb plant named Harry, Polly can face her fears and uncover her family's magical secret. Kathleen Van Cleve lives in Philadelphia, Pennsylvania.